For anyone in the Portland area, I’ll be DJing at Ground Kontrol, a really cool old school arcade that also serves drinks on Thursday July 1st. 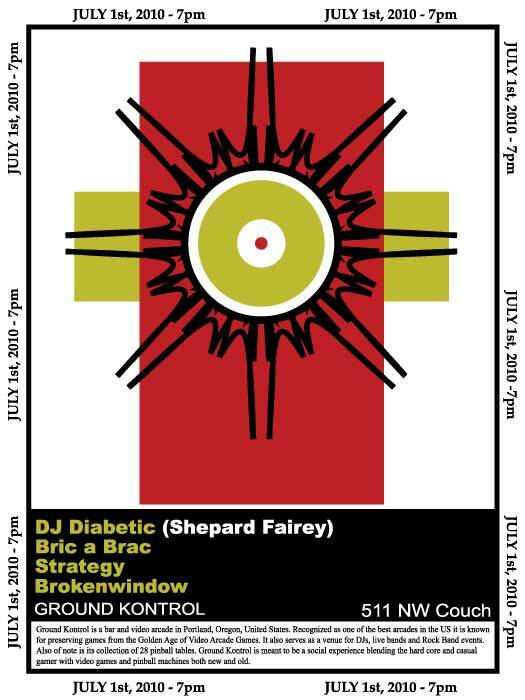 My friend John Goff who helps me with some re-edits and re-mixes will be DJing too. It’s the right price, which is no price, A.K.A. free! As an added bonus, while you might be playing Pac-Man, I definitely WILL NOT be playing “Pac-Man Fever” by Buckner and Garcia (I’m still pissed that I can’t dislodge their name from my memory since the 80’s, possibly causing them to displace something far more important, or at least relevant, I should remember). Oh well, whether you want to remember or forget, either will be more pleasurable with good tunes, drinks, and 8-bit bleeps. Thanks for your visit to Portland Oregon Daily Photo. Sorry for the confusion. She matches in that her hair and shoes are the same color as the STOP hand on the crosswalk signal, and she's wearing black which is the same color as the background of the crosswalk signal on STOP. Oh, I forgot. I was walking to the lecture about the concrete homes when I saw her and took this photo.